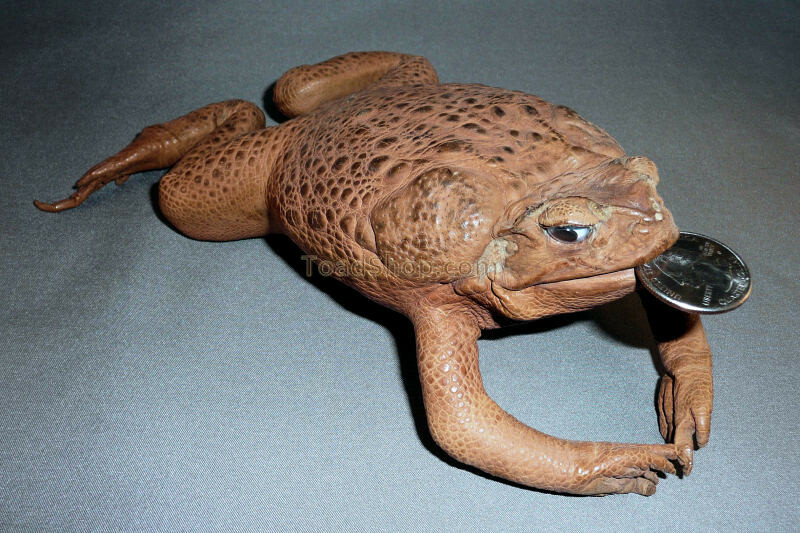 A full-size stuffed Australian Cane Toad which can be used as a Good Luck Toad or "Money Frog" to bring you luck. Some say if you keep a coin in it's mouth and place it in the corner of a room it will bring you good luck! Please note: you need to supply your own coin! 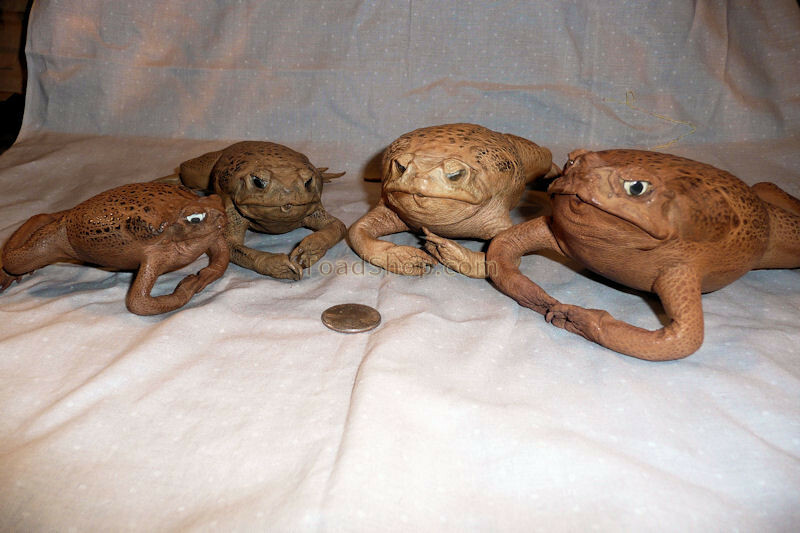 There are now four sizes of the good luck toad to choose from. If you need a lot of luck, choose the larger ones. If you need just a wee bit of luck, choose the medium one. And it might not hurt to put the largest coin you can find in its mouth to see if that will make a difference as well. 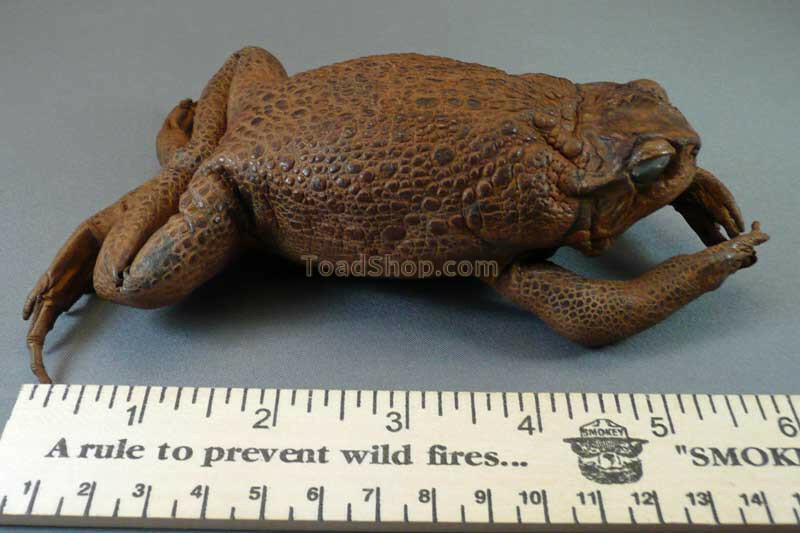 By the way, the small toad is just the right size to hide around the house to scare your toad-phobic friends. These stuffed toads are also a great prop for schools to use in science classes. 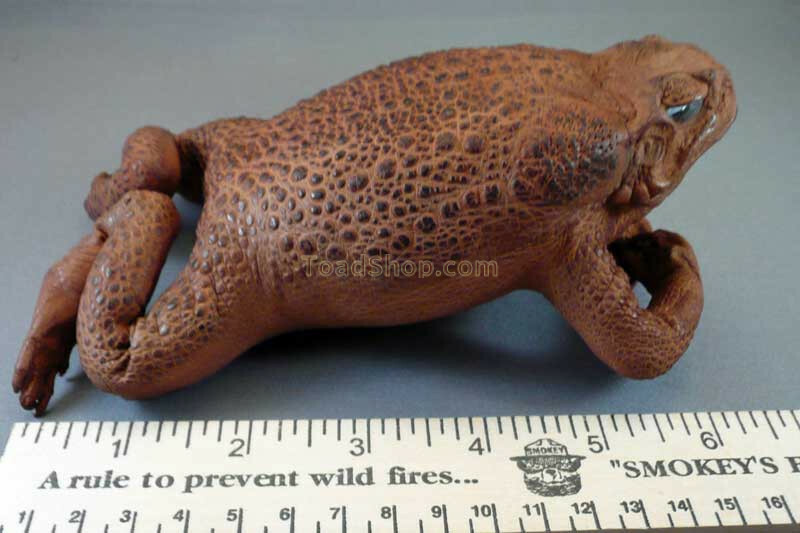 The small toad is a full 4.0" (10cm) with a 5" girth. 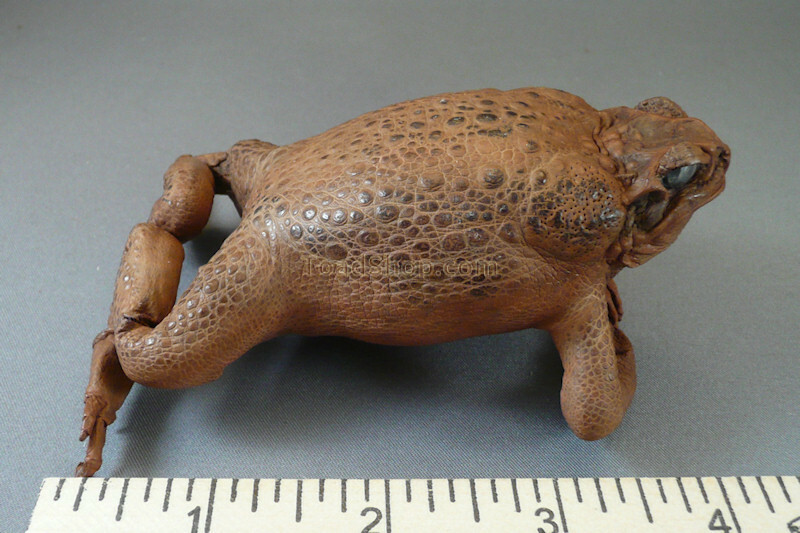 The medium size toad measures approx 5.5" (14cm) long with a 6.5" girth. 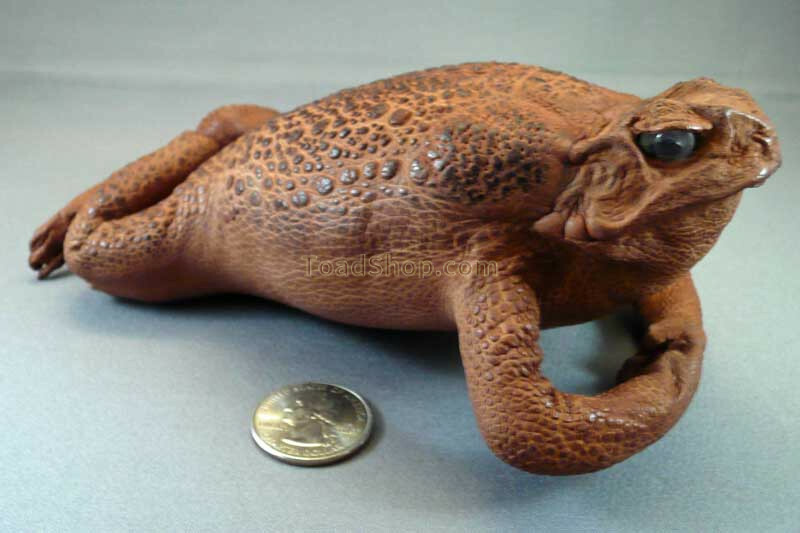 The XL toad is almost 7" (18cm) in length and the girth is a fat 8.5" around its waist. Finally, let's just say the XXL toad is a monster. 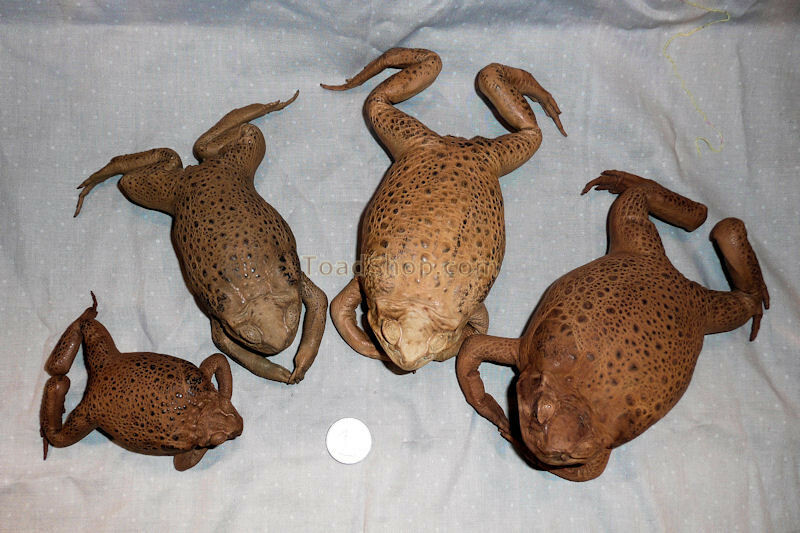 One more thing: the legs on these toads have an internal wire structure that you can bend to different positions.